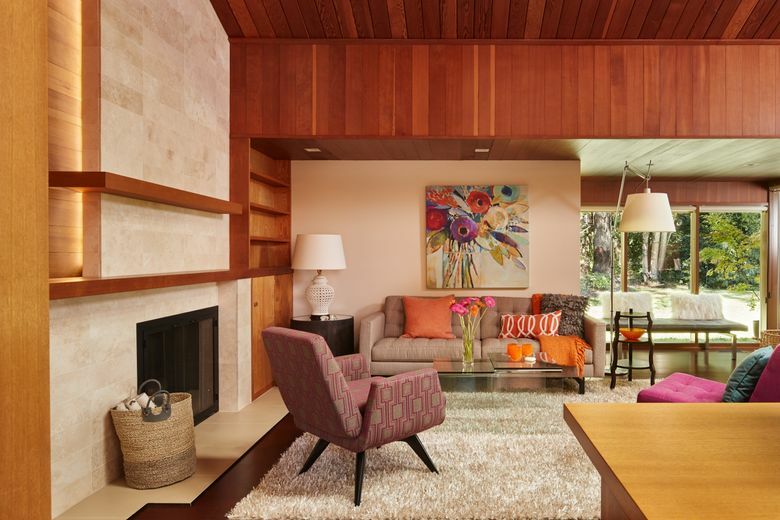 A Mount Vernon remodel stays true to Henry Klein’s 1954 vision while making a midcentury home much more modern. THERE ARE COINCIDENCES. And then there’s kinda spooky. 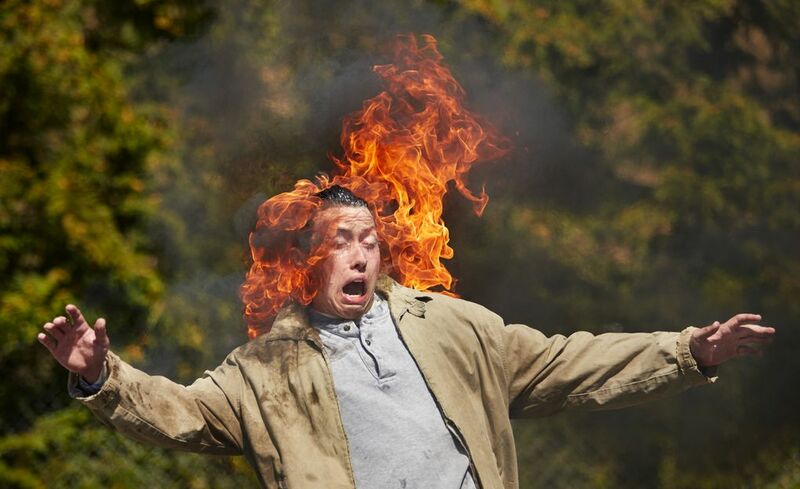 Exhibit A (for Ack! ): Mary Kay Gannon and B.J. Larson bought a classic one-level midcentury modern home in Mount Vernon. 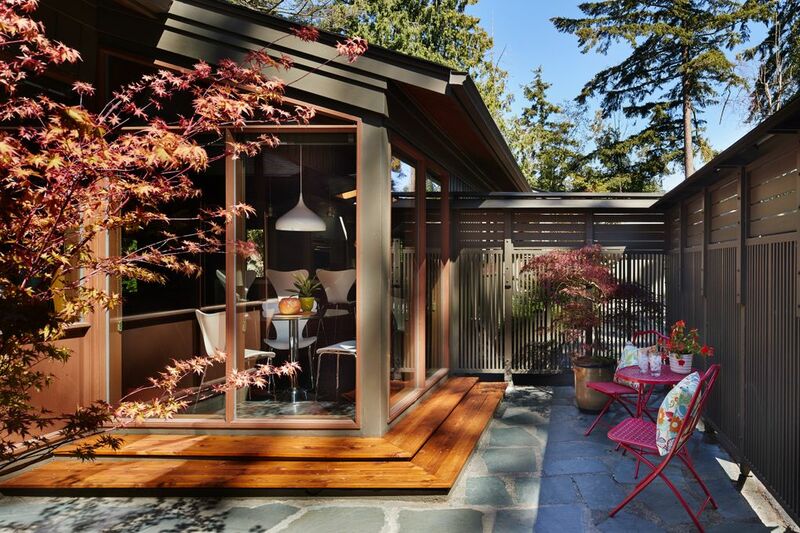 It was designed by noted Northwest architect Henry Klein in 1954, and only one family had lived there since its completion. 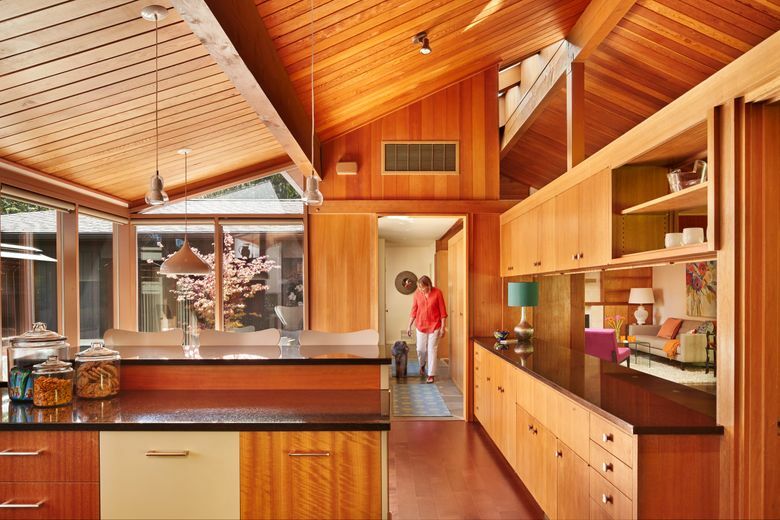 Gannon and Larson adored Klein’s original design — sloping cedar ceilings, oodles of built-ins, beautiful flow — but, well, it was slightly more midcentury than modern (sunshine yellow Formica in the kitchen, screaming teal on bathroom counters, a teensy-weensy master bedroom). We need to renovate, they thought. We need an architect. Larson knew of only one: Julie Blazek, with whom he’d volunteered at the Children’s Museum of Skagit County. We should research Henry Klein, too, they thought. Huh, they soon discovered: There’s a firm right here that’s named for him: HKP Architects. As in Henry Klein Partnership. Check the staff! Check the staff! “The coincidence was fantastic,” Blazek says. She was hired, (perhaps super-) naturally. And then, with Blazek and HKP Architects project architect Russ Weiser on board, all that happy happenstance kicked into purposeful action: modernizing, adding on to and renovating this beautifully historic home, using Klein’s archived plans and sketches — all while honoring his vision, and his legacy. They kept a lot, and they also did a lot. 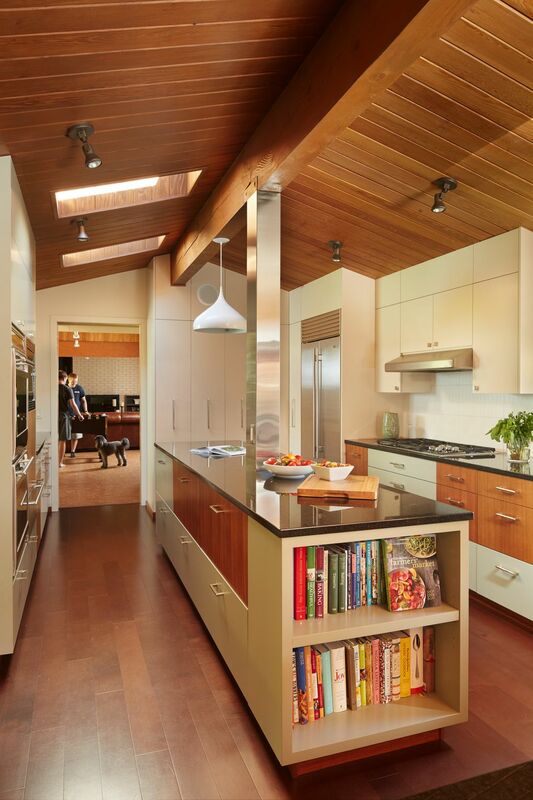 • The original little U-shaped kitchen, which once had laundry facilities and a breakfast nook-turned-playroom attached, opened into a true, singular focal point, with a new skylight, reconfigured cabinetry and walls, and a new visual connection to the rest of the house. • The carport is enclosed. 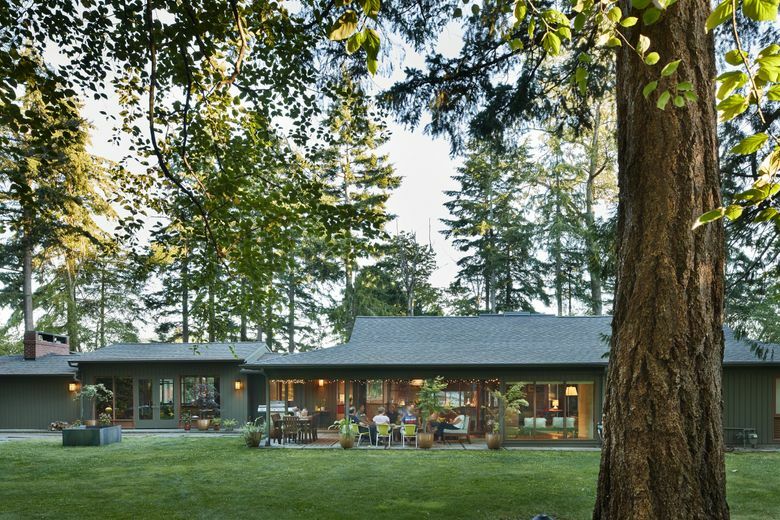 • Two sections of the existing roof were raised to add light, volume and function. 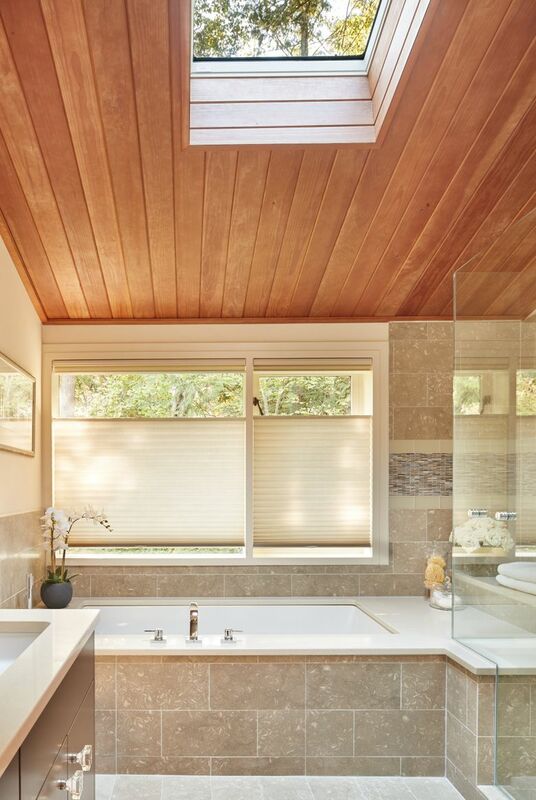 • Original wood ceilings were retained almost everywhere (new ones in the addition maintain the same look and feel). • Portions of the original cork and slate floors were restored. • Cabinet panels from the original kitchen were resized and refinished for the new cabinets. • Original wood found new life, or blended in with new friends. And that sunshiny yellow kitchen Formica? Now put to use in the garage, says Larson, a pediatric dentist. The master bedroom changed the most. 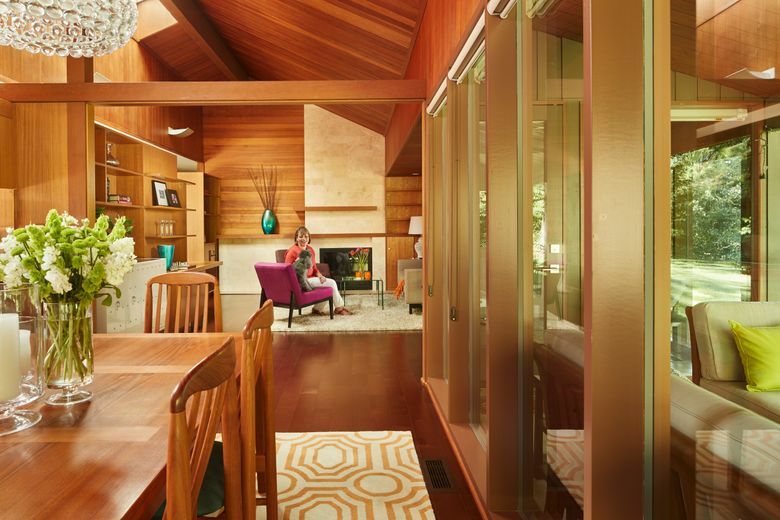 “It was like a tunnel, like an old motel,” Larson says, but now, with an all-new ceiling, a reframed ridge beam, an alcove and built-ins, “You close the door, and it’s like a sanctuary,” Gannon says.